In 2017, five Texas cities were named as some of the most dangerous cities in the country by data company Neighborhood Scout, which analyzed FBI data on violence and property crime for cities of 25,000 or more residents. Moreover, violent crime rates have been ticking up ever since record lows in 2014, reports the Texas Tribune. And in Texas, the rate of violent crime is rising at a faster rate than it is in the rest of the nation (5.3 percent in Texas compared to 3.2 percent nationwide). Obviously, security is more necessary than ever in an increasingly volatile world. To protect yourself and you family from violent crimes or property thefts, you must consider investing in a security camera for their home. If you are troubled by the rise in crime rates in the country or specifically in your area, you need worry no longer. Knowing that you have a security camera which can help deter crimes such as burglary or stalking, or at least produce incriminating evidence should the worst happen will set your mind at ease and allow you to go back to your day to day business without anxiety. Home security cameras are not only beneficial for the residents living inside the house, they can be helpful for the community at large as well. 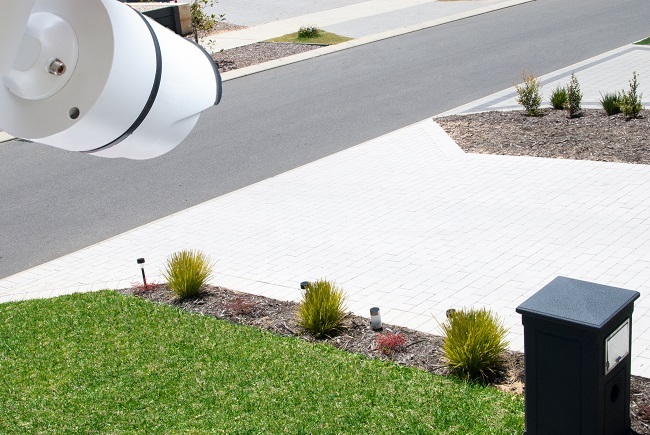 Security cameras may catch suspicious activity on the streets or sidewalks near your home, which can be helpful in apprehending thieves or other criminals who may be targeting your neighbors, thus improving the overall safety of your entire neighborhood. If you are living with rebellious teenagers or older adults with dementia, a home security camera can help you with necessary functions like imposing curfews or finding older relatives should they accidentally get lost. Knowing that there is a security camera keeping watch may make impulsive young adults think twice before sneaking out of the house or breaking curfew, and can also help family members keep tabs on elderly relatives who are at risk of wandering outside and losing their way home. Installing a security camera or two is a quick and painless process that can serve you for decades to come. If you have not yet outfitted your home with a security camera, now would be an excellent time to do so. For more information about security camera options, please feel free to contact us.